Churchill called it 'the worst disaster and largest capitulation in British history.' This description of the fall of Singapore on 15 February 1942, after Lt-Gen Percival's surrender led to over 100,000 British, Australian and Indian troops falling into the hands of the Japanese, was no wartime exaggeration. The Japanese had promised that there would be no Dunkirk in Singapore and that was so - no one was spared and its fall led to imprisonment, torture and death for thousands of allied men and women. 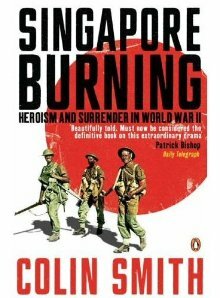 In this extraordinary book, using much new material from British, Australian, Indian and Japanese sources, Colin Smith has woven together the full and terrifying story of the fall of Singapore and its aftermath. Here, alongside cowardice and incompetence, are forgotten acts of enormous heroism; treachery yet heart-rending loyalty; Japanese compassion as well as brutality from the bravest and most capricious enemy the British ever had to face.